SELECT Sport sells around 3 million balls every year. 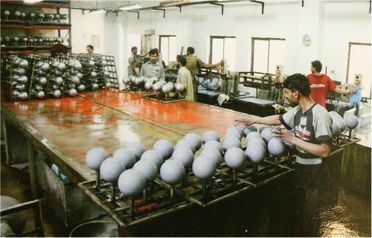 Around 90% of these hand-stitched balls are produced in the Sialkot area of Pakistan by Anwar Khawaja Industries (AKI). 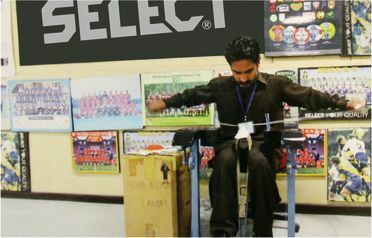 SELECT is one of many companies whose production is carried out here, where 70% of the hand-stitched balls in the world are made. 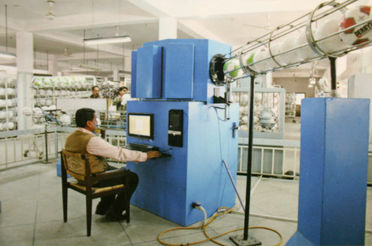 The majority of the many thousands of people who stitch balls in Sialkot do not work directly for the ball companies, but are part of a wide network of subcontractors and their subcontractors. 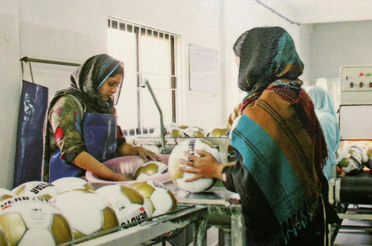 These workers do not receive a fixed wage, but are paid for each ball they make. There is very little social welfare provision in Pakistan, which means that a serious illness can easily wipe out a family’s finances. As a result, SAHEP was adapted to include free medication and medical assistance for all workers and their family members. The SAHEP families are given a medical card and a list of local hospitals, doctors and specialists included in the programme. The bills are sent directly to SAHEP’s office. Around 7.285 people now have a SAHEP medical card.SAHEP also hires a mobile healthcare team to provide health care locally. This includes a nurse, midwife and a trainer, and sometimes a specialist. The healthcare team goes out to the villages once a week and carries out health checks, baby checks and vaccinations, provides information on family planning, nutrition and hygiene and distributes medicines.